Check out my blog for a project I’m working on called Compliments Week, part of the IdeaFM Movement. This project is a week long event during which students at FVHS will write anonymous compliments to each other on provided slips of paper. At the end of the week, the compliments are collected and made into a paper chain that will hang in their classroom for everyone to read and enjoy. 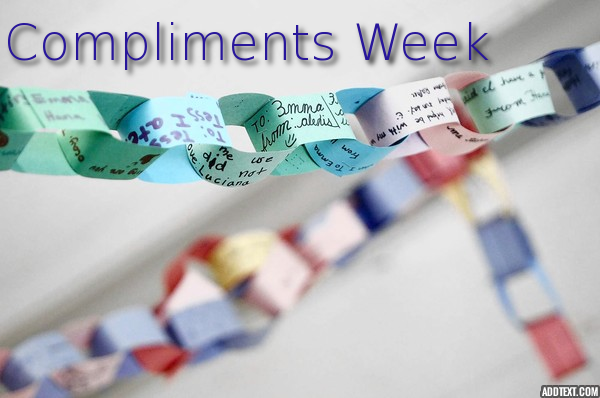 The goal of the Compliments Week Project is to combat negativity and bullying that takes place at school or at home, and to spread compassion through a simple act of kindness. Please follow this blog for updates and progress of the project and spread the word, Thank you!